A few weeks ago I shared a little bit more about why I’m such a huge Nebraska football fan. A large part of that is because I was a member of the Cornhusker Marching Band all 4 years of college! Being part of the band was SO incredible and I have many memories from those days that I will cherish always. Another blogger & former band member (we were there at the same time), shares the same sentiments I have. Only a few people know that it was actually attending a football game that finally pushed me to decide to attend the University of Nebraska. Coming from Arizona, it’s not exactly a common school choice. But, my dad and I attended a game in October of my senior year of high school. I was in awe. Completely blown away. When the band took the field and 80,000+ people roared from them, I got goosebumps and teary eyed. I’d never seen anything like it and knew I wanted to be a part of it. So, I went out-of-state to school, auditioned for the band, and marched clar­inet my fresh­man year! My sophomore year then, the band finally got a pit percussion section. 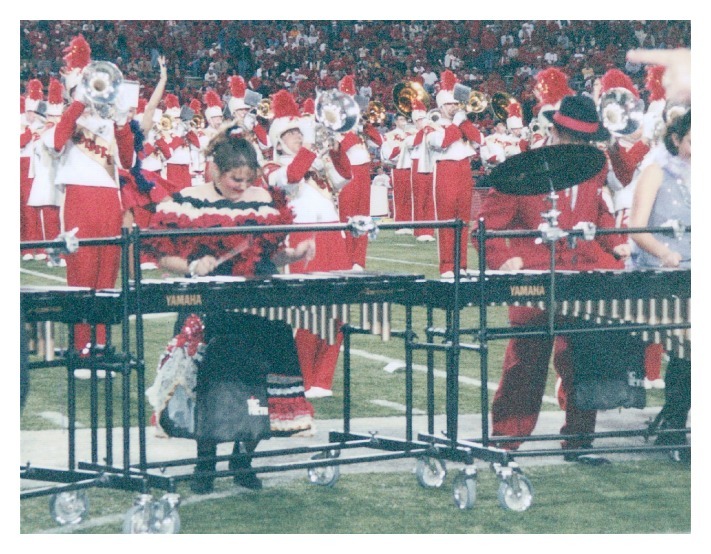 So, the rest of my time in the band was spent in the pit as part of Nebraska’s drumline. And, it was SO awesome! Tons of work (we learned & memorized a new show almost every week), lots of time (usually about 20 hours a week), and tons of fun! One of the xylophones was like my first baby! 😉 The homecoming shows were always something extra fun and the pit dressed up in costume. Moulin Rouge was my favorite! My senior year extra memorable — hosting two ESPN’s College Game Days, playing Notre Dame, the post-September 11th game (which is one of the most memorable music performances of my life), playing at Disney’s California Adventure, and of course, the Rose Bowl! Marching in the Rose Bowl Parade & performing during the National Championship game was unreal! In fact, during pregame at the Rose Bowl, Regis (yes, that Regis) stood right in front of my xylophone the whole time! 🙂 Such good memories! 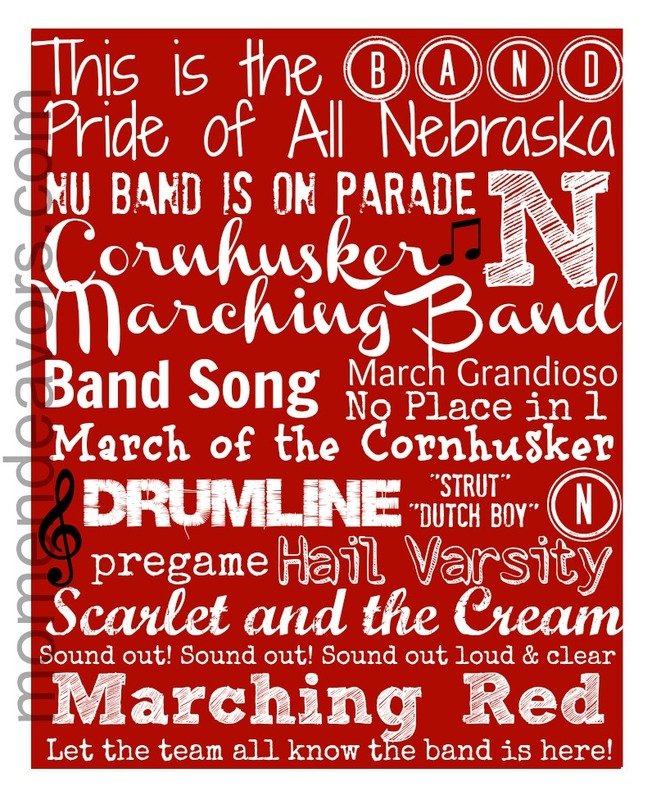 So, since I love the Nebraska football subway art printable so much, I decided that I had to have one just for all things Cornhusker Marching Band! 🙂 Here’s what that looks like: If you happen to want a copy for your own personal use, feel free to comment and I’m happy to share! GO BIG RED!!! I didn’t know you matched. JD and I both marched our freshman year in the Pride of Arizona, him 5th bass and me color guard. JD is actually off today to support his pit at State. I LOVE this!! I will definitely link up with some UGA love!! Done, Chelsea! 🙂 Check your email! I would love to have a copy of the Marching Band subway art. My son is currently in the band and plays trombone! I love it!!! Go Huskers! That’s so fun, Dana!! Check your email! Love the subway art! Could I have a copy? I’d love to hang it in my classroom! My four years as a member of the Pride of Nebraska were, without a doubt the highlight of my college days! I love bringing my kids to campus on game days for the parade! That is SO awesome, Sara! (nice name by the way! 😉 ) Those 4 years were a highlight for me too! We don’t live back there anymore, but love getting back for a game (and of course march down with the band)! 😉 Sent you a copy! I LOVE THIS PRINT! My husband grew up in Nebraska. I worked at UNL right after we were married and was converted as a Husker Fan when I was able to get Husker tickets for FB! Been a fan ever since. Infact, we don’t live in Nebraska any longer, but still have season tickets – GO BIG RED!!! I’d love to receive a copy of this! THANKS! LOVE LOVE LOVE the subway art! I gotta have a copy! (and yes, I was in the band too! !, we must have been in some overlapping years, i was in 96-00, tenor sax) GBR! Love this. My daughter is currently in the Cornhusker Marching Band (flagline). I would love to get a copy . Loved reading about your experiences and seeing your photos! I love the subway art! My husband and I are both CMB alums, and our oldest son is marching in the trombone section this year. I’d love to have a copy of this to hang in our family room next to all the amazing photos we have that Rose J. took during our years in the band. Hello Sara! 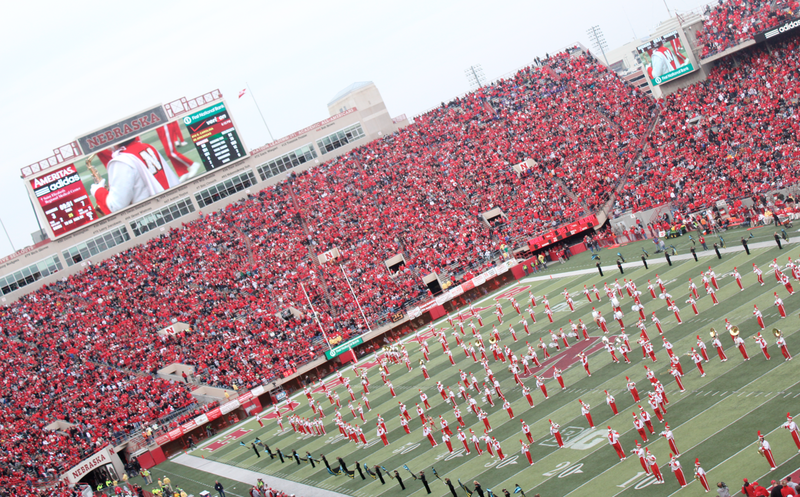 I am a current member of the Cornhusker Marching Band. I absolutely love the design you created! I am helping create a new t-shirt design for the band this year. Would you allow us to use your design for a t-shirt? If so, would you be willing to email me the file? Thank you for considering!